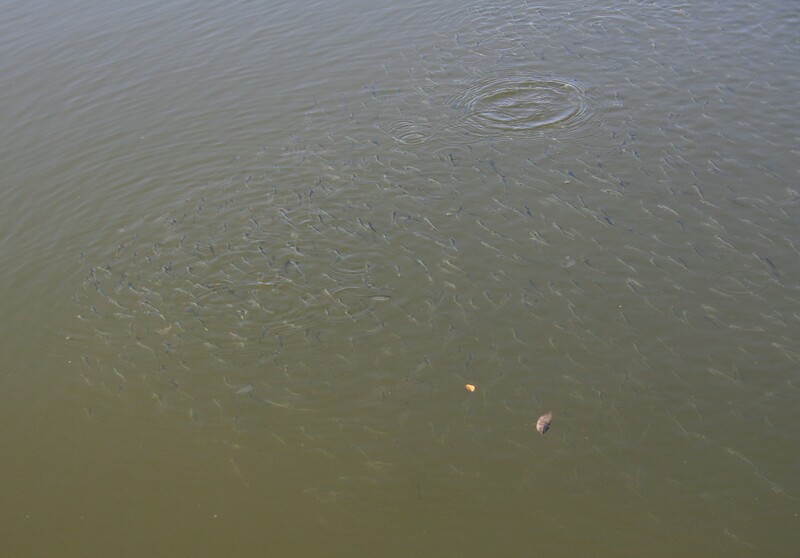 Find areas filled with schools of shad like these and you’ll find feeding bass, hybrids and other game fish close by. 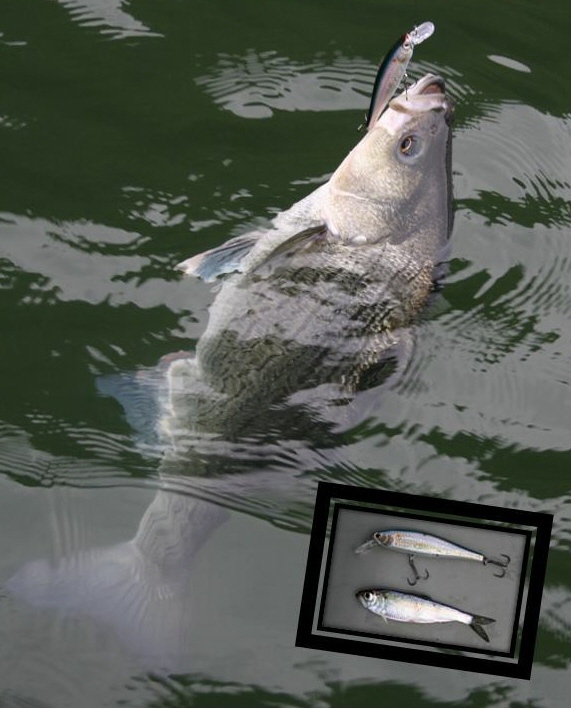 Bass, hybrids and other predators become focused on shad and other minnows during fall so weedless soft plastics that mimic them are effective choices. I use swimbaits in various sizes and hook weights for horizontal presentations to cover water and find fish. Lightly weighted soft-plastic twitch baits are better choices for target casting to downed trees and other shallow structure with slower presentations. 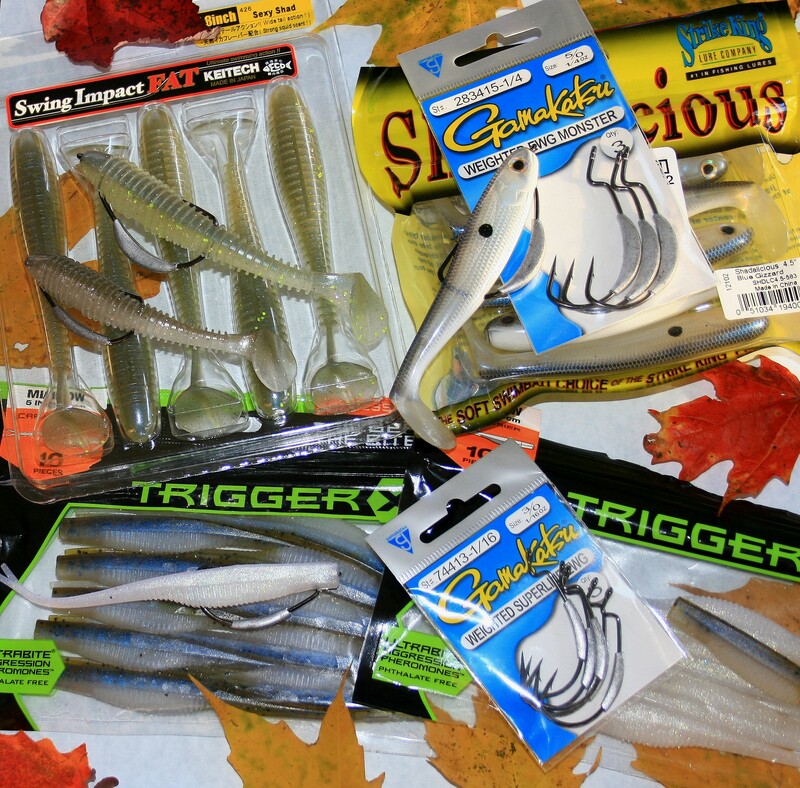 Where floating leaves aren’t too dense, minnow lures are good choices for presenting shad profiles to bass, hybrids and trout during fall. 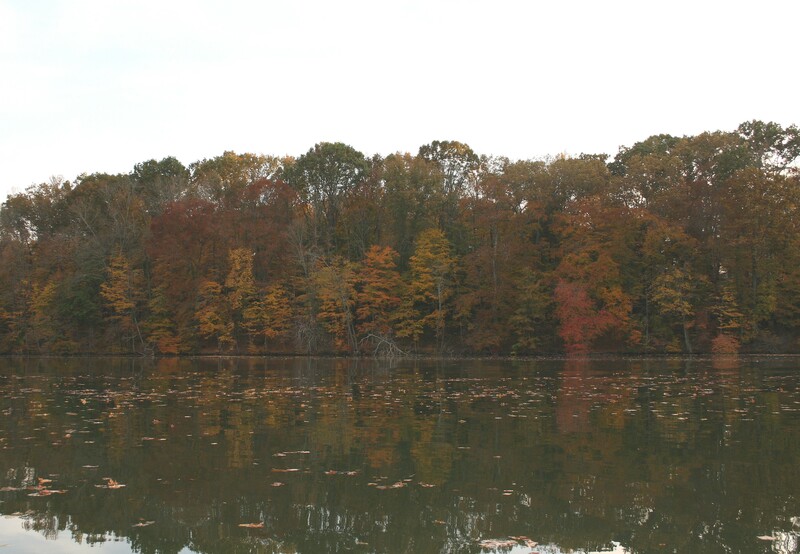 Choose flashy colors and erratic or slow presentations to make them stand out among scores of other baitfish. 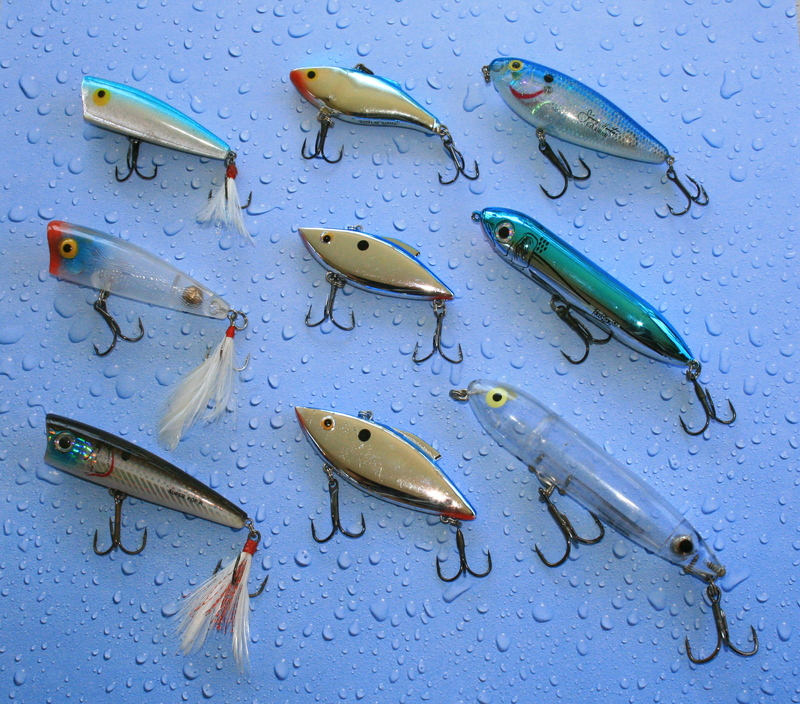 But match lure size to the size baitfish present because many fish become focused on food source size. 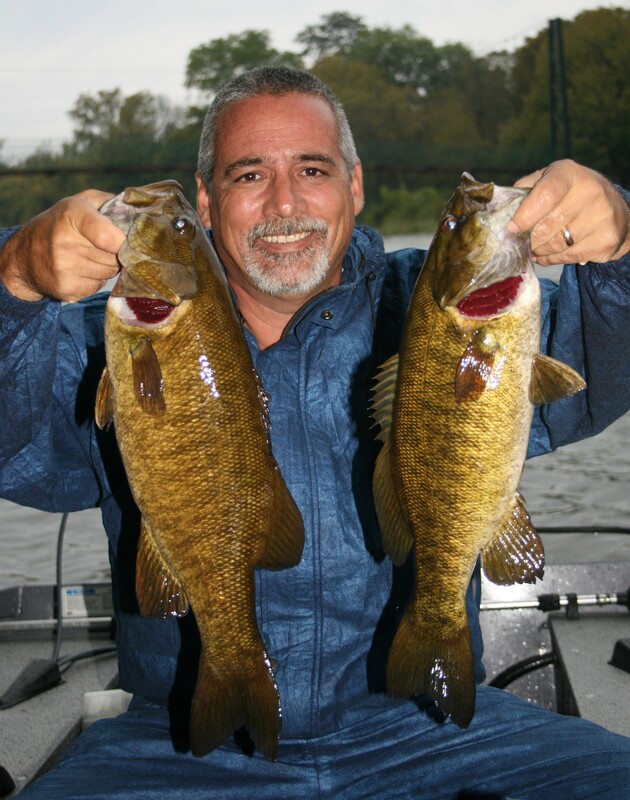 My fishing buddy Erby Brown caught these nice river smallmouths on swimbaits rigged weedless on Extra Wide Gap hooks. 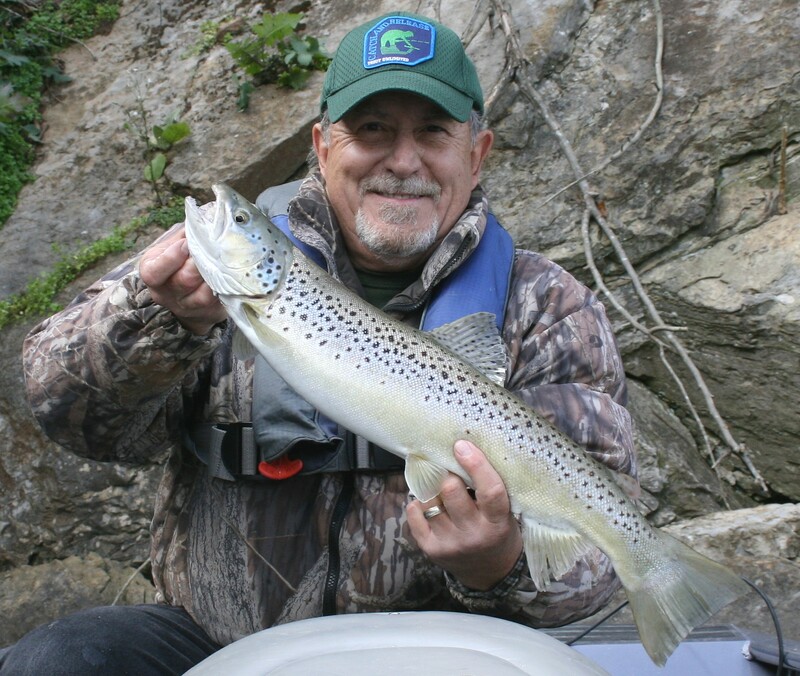 My fishing friends and I have caught many smallmouth bass and trout in rivers this season on swimbaits rigged weedless. 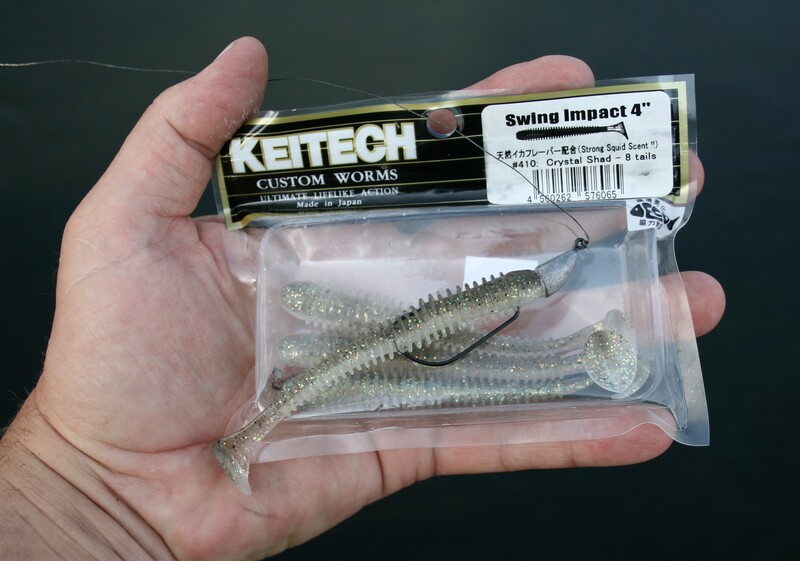 These Keitech Swim Impacts produced many smallmouth bass, including trophies, when presented on Owner Ultra Heads in the Bullet Type and are surprisingly weedless.